We bring you the play, "Bandishein" at your CoHo this February in collaboration with The Astitva. 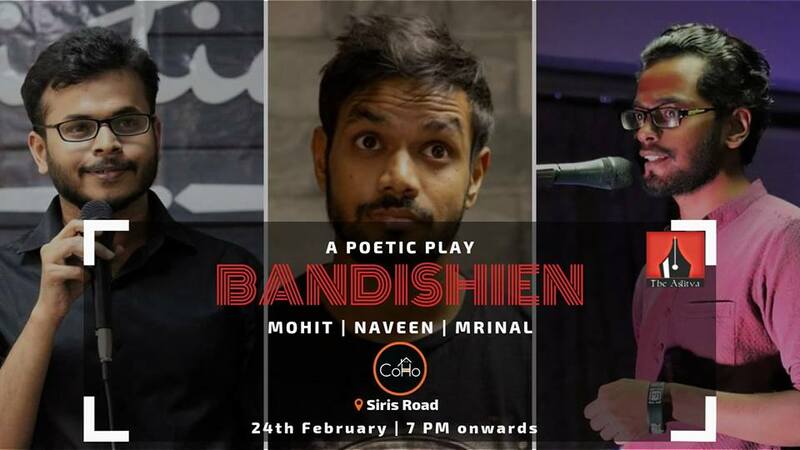 It will be an evening with an hour-long poetic play where the performers Mohit, Naveen and Mrinal will talk about various constraints a person comes across his/her life. The event will be interactive where the performers keep on engaging the audience with the play, asking them about their constraints and the solutions.